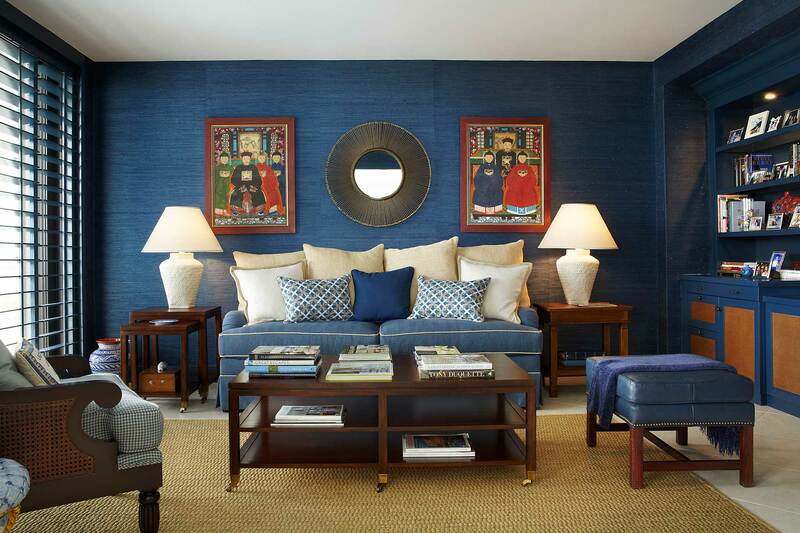 We are excited to share that our Palm Beach Ocean View Apartment has been featured in another article on Houzz.com, this one noting the beautiful color blue we used. If you want to go dark and dramatic with your interior decor, then shades of your favourite colour should be part of your decorating tool kit. These colours can deliver drama while creating a moody yet – sometimes surprisingly – calm feeling. They lend great presence to a space and can be used in just about any area of your home. They can even be used together with neutrals or pastels for balance. That said, there are some things to understand when working with shades, which I’m about to share with you. The first is not to be afraid of the dark! Adding black to blue creates some beautiful shades of this primary, including denim, navy and midnight blue. 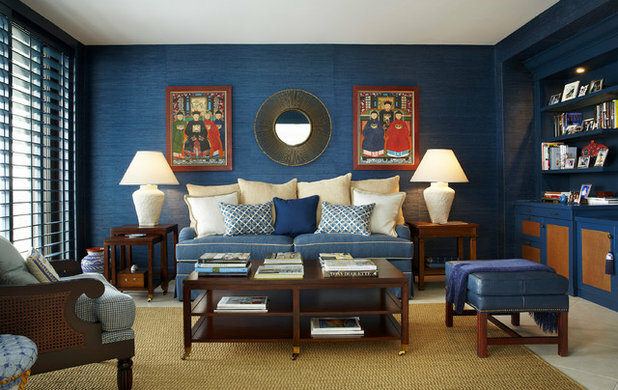 In the room pictured here, those three different shades of blue have been layered and used together on walls, furnishings and built-ins.